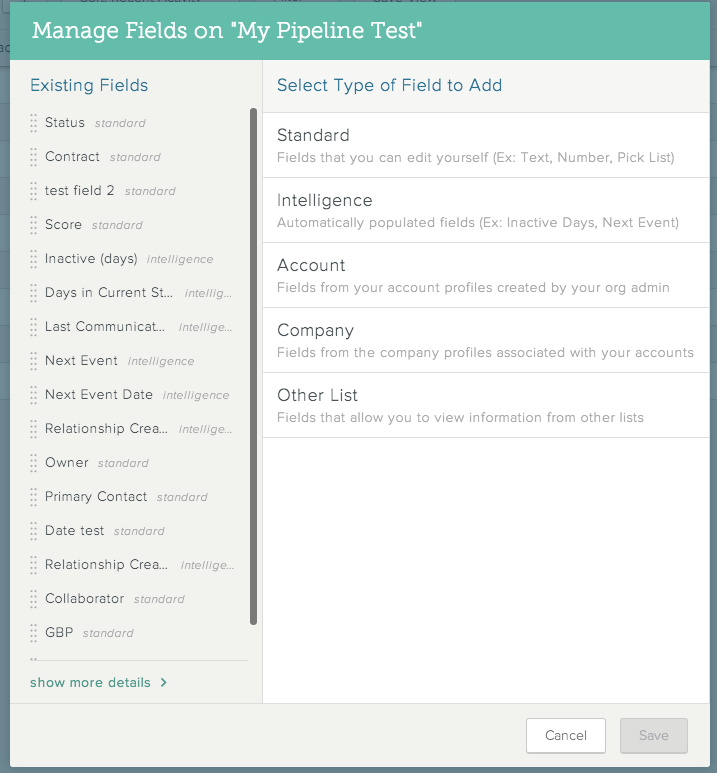 Company properties are set fields that SalesforceIQ automatically pulls into your Account profile based on information in the many data sources we use to enrich your Account and Contact profiles. Learn more about Company properties here. You can add Company properties as fields in the Grid so you can easily access this information throughout SalesforceIQ. When you add a Company property as a field, SalesforceIQ automatically populates the field if we have that piece of information on that company from our database. Note: You can add Company properties as Grid fields for Account-based Lists only. With your List open, click to display the Grid view. On the screen that appears, select either Company, and then select from the options available.